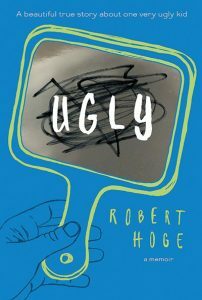 The author of this book describes himself as “the ugliest person you’ve never met.” Robert was supposed to look plain and normal like his parents and four older siblings. But when Robert was born, the first thing his mother said was, “Is my baby okay?” Robert was born with a lump in the centre of his face where his nose should have been which caused his eyes to move to either side of his face. Robert’s legs were also mangled – his right leg was short with four toes coming out of an oddly angled foot and his left leg was shorter with only two toes. Robert underwent many operations to look more normal. Having a normal life when you are not like all the other children is very difficult. This true story gives the reader the opportunity to understand Robert’s life. Although Robert was faced with challenges, he also had many opportunities. His family ensured he was able to take part in school activities and he became a very good lawn bowler. Robert is very courageous throughout the whole story of his childhood and does not let anyone’s comments stop him from challenging himself and doing what he wants to. I really liked how the story started with an invitation from Robert to the reader to imagine shaping a piece of clay, and then finishes with the clay image. This is a very inspirational story that makes you realize it is important to accept yourself for who you are and that outside beauty is only one aspect of a person. Review by Connor, age 14.